For a full list of all of the new releases from Kids Can Press, please visit their website. 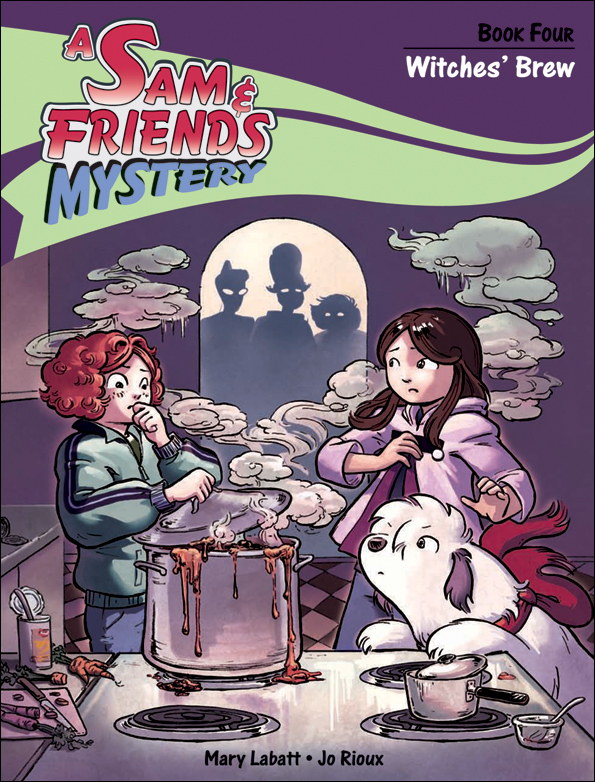 A spooky adventure for girls — book four of A Sam & Friends Mystery graphic novel series. When three odd sisters with a collection of scraggly animals move into the house across the street, Sam and her friends grow suspicious. Then Sam thinks she’s been hexed — these new neighbors must be witches! The friends search the sisters’ house for a spell book to help Sam when the homeowners return unexpectedly. Will they boil the intruders in a witches’ potion? Young graphic novel readers will furiously turn pages to find a surprising solution to this mystery. 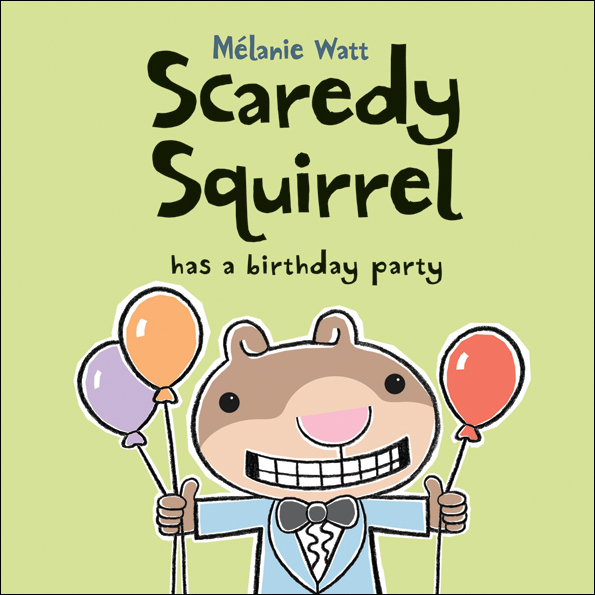 In the fifth book, Scaredy Squirrel plans his own birthday and surprise!… things get very crowded. Scaredy Squirrel is planning his own birthday party for one – but despite his detailed plans, things get out of control when the party animals arrive. Small Saul learned at Pirate College that pirates only care about three things: their ship, being tough and lots and lots of treasure. Can Small Saul show these ruffians that despite his gentle spirit, he’s worth his weight in gold? 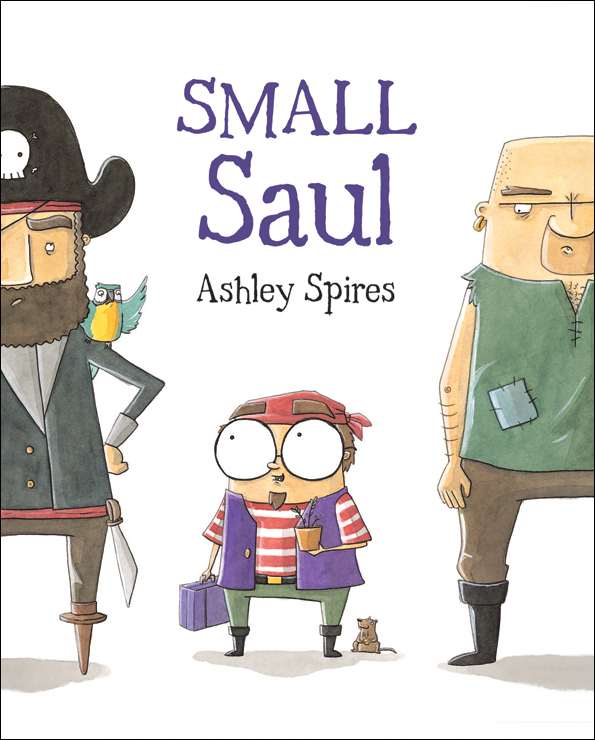 With treasure chests of laughs, Small Saul’s high-seas adventure is a light-hearted celebration of individuality, perseverance and being true to one’s self. A zany picture book that will resonate with anyone who’s ever been kept waiting. 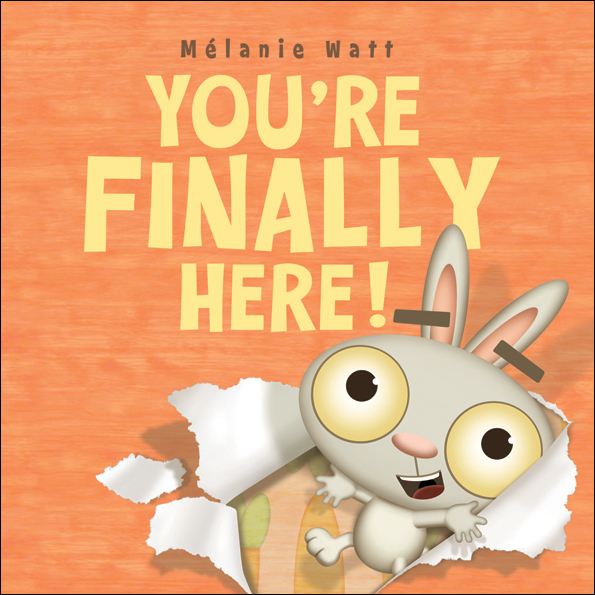 The latest from the creator of the best-selling Scaredy Squirrel series stars a hilariously needy and impatient bunny. This is no ordinary picture-book character, and it will quickly become clear that this is no ordinary picture book – namely because you, the reader, are on the spot. You’re late! At first, this little bunny is deliriously excited by your arrival, but now that you’re finally here, he wants to know: where were you? He’s been waiting long enough to learn an accordion solo, among other time-consuming pursuits. After he’s shown you how it feels to be kept waiting and just when he’s finally satisfied that you’re a good steady page-turner who’s here to stay, something happens to turn the tables. The result is an off-beat ending worth waiting for! This entry was posted in Comics For Kids, Publishers by Kevin A. Boyd. Bookmark the permalink. I’d say Sam & Friends isn’t just for girls, my son’s loved the first three. I agree, I was surprised that they made a point of mentioning that in the promo. I think perhaps they are trying to counter the natural bias that mystery books are specifically for boys. The Sam & Friends books are definitely of interest to both boys and girl. There’s a reason why they keep getting nominated in the “Comics for Kids” category.